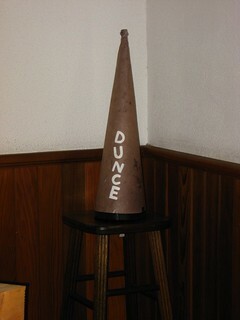 Your readers aren't dunces. Respect their abilities to skim and decide. I presented a webinar on email newsletter strategy for CharityHowTo last week, and one of the key messages was to make the email itself very skimmable, with links to your website where the bulk of the content would be. In the email itself, you can include short teaser content. This is especially important for newsletters that include more than one or two articles. That way your readers can quickly see if there is anything relevant and interesting to them, and click for more when they find something intriguing. I used the Daily Grist email newsletter as an example of how you can quickly share content on many different stories at once in a very skimmable way. I understand where this concern comes from. It’s based in what’s called the “curse of knowledge.” Because you work in your field, you are consumed by the details — so consumed that you end up believing that everyone else needs the same level of detail as you have in order to understand anything about your issue. Wrong! I believe that writing for skimmers — providing strong headlines and teaser text — is actually more respectful and gives your readers more credit for their intelligence than trying to dump all of that content on them at once in the body of your email. Giving people a clear and concise taste of your content with an easy-to-see link to click for more says you respect their time in their inbox and trust them to decide whether your article is right for them or not. I’m not saying that you should never put a full article in your email newsletter. I do that often, and it works well. But I don’t put five full-length articles in an email newsletter, and neither should you.